Hi there, my darlings! This afternoon, I have a gorgeous new collection from ellagee that is launching tomorrow--the Beach Bum collection, 7 pastel, or sun-bleached, neon cremes. If you can't choose between neons and pastels, now you can have the best of both worlds! Before get to swatches, let's take a couple of minutes to talk about the application and formula. I have talked about the trick I learned and use consistently, courtesy of this article from The Trendy Nail, every time I swatch anything remotely neon--I use a matte topcoat, which in my case is Butter London Matte Finish topcoat as a BASECOAT and I get smooth, streak-free application every time. These cremes being both pastel AND neon can be a little bit of a challenge but the matte basecoat really eliminates any of those challenges. 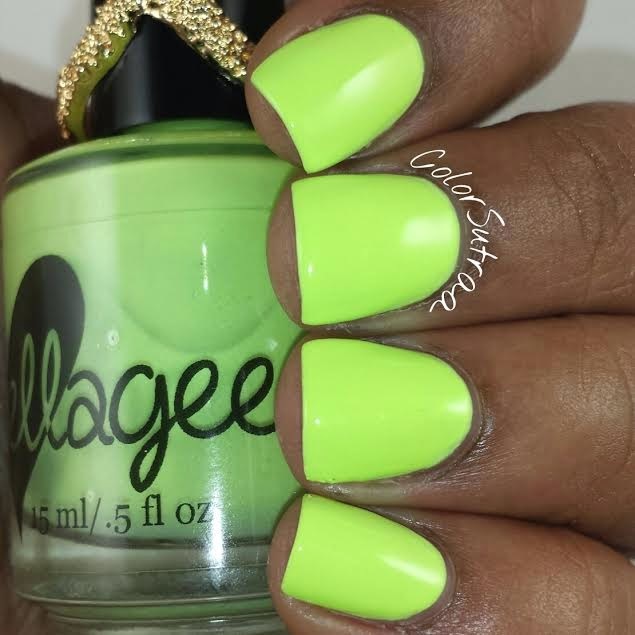 The swatches below show 3 thin coats, unless specifically mentioned, of each polish by itself, topped with ellagee's Glass topcoat! With that said, let's get to swatches! 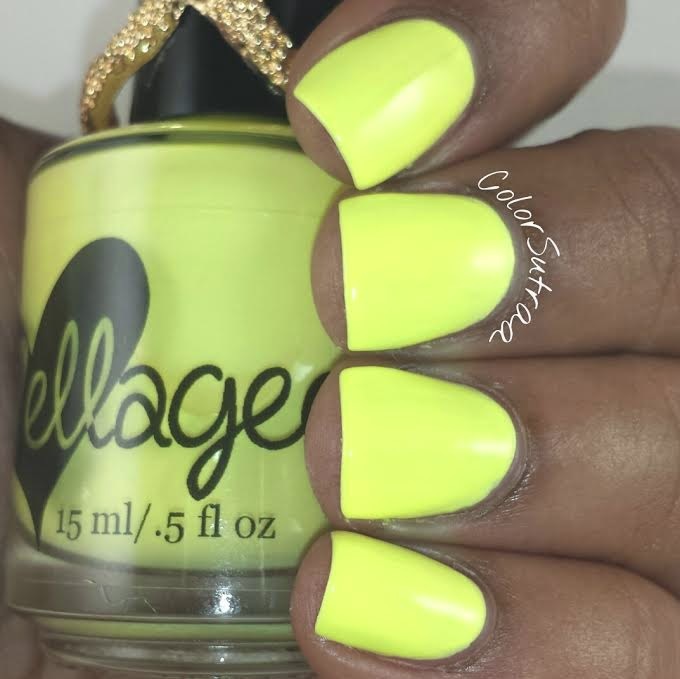 She Sells Seashells is "a sun-bleached neon yellow creme". A bright, sunshiny shade! 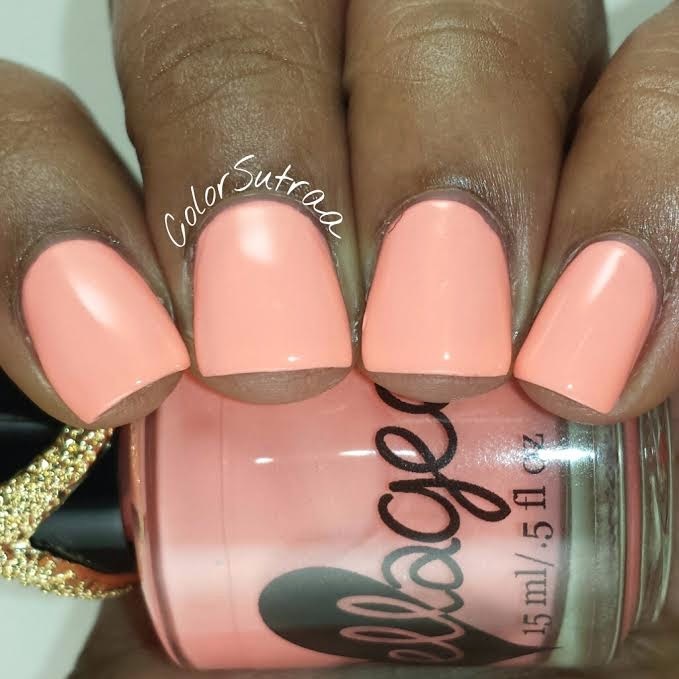 Beach Bum is a "bleached neon peach creme." Perfect for those of us who usually shy away from full-on orange! 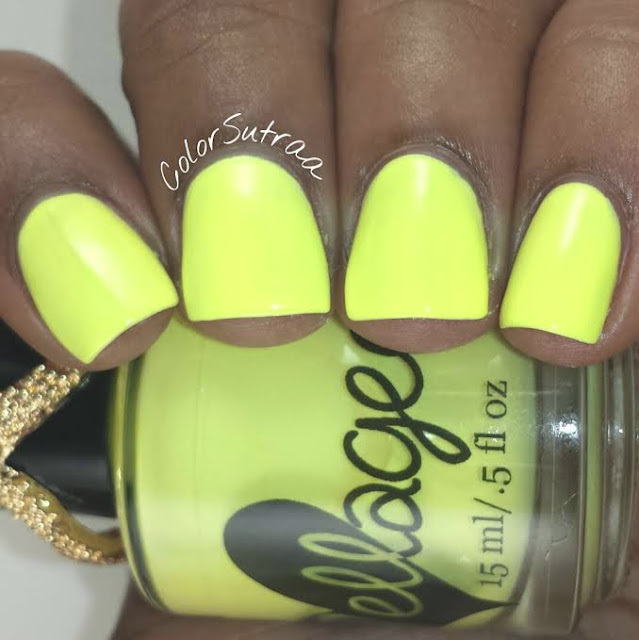 Seaside Cottage is "a sun-bleached neon yellow-green creme". One of the green lovers out there! Toes In The Sand is "a sun-bleached neon pink creme". One of my faves! So pretty! Snoozing In The Hammock is "a sun-bleached neon periwinkle creme". Such a lovely shade of blue! Salty Breeze is "a sun-bleached neon lilac creme". 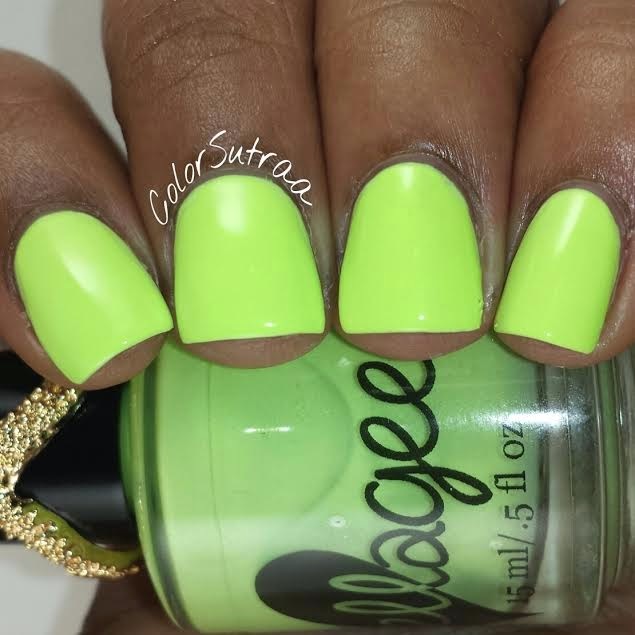 I think this shade is the most flattering on me! 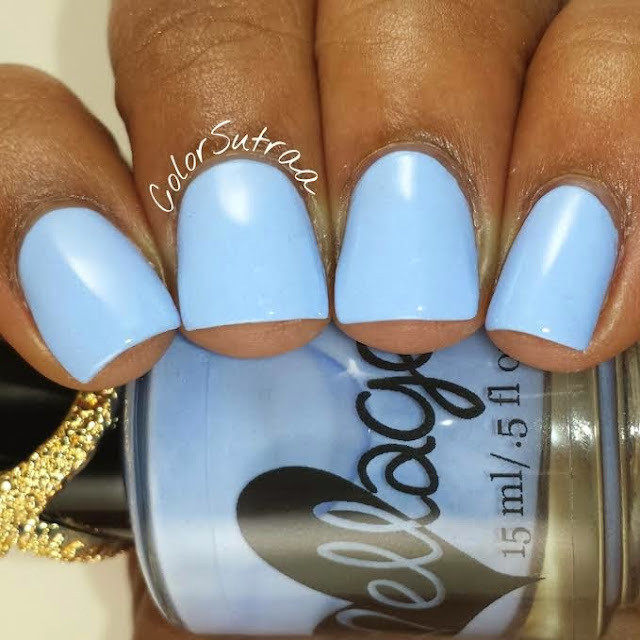 By The Sea is "a sun-bleached neon turquoise creme". Hands down, my favorite of this collection! So there you have it, my darlings! 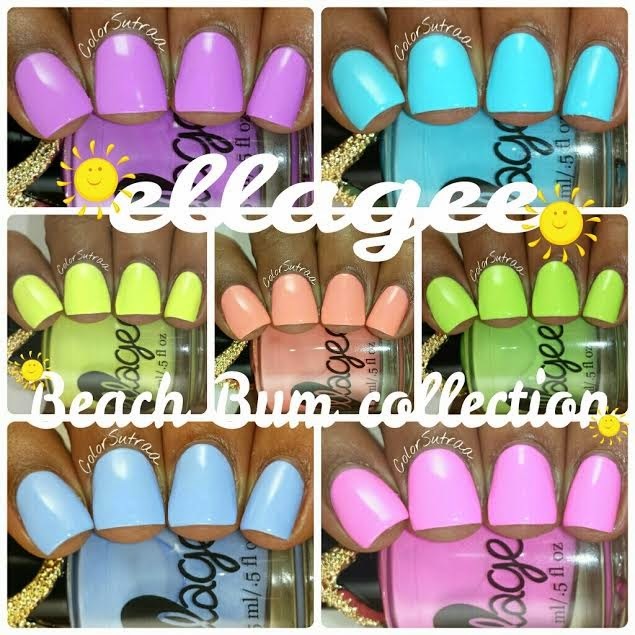 The Beach Bum collection from ellagee! These are releasing tomorrow HERE. Remember to follow Laura of ellagee on FACEBOOK and INSTAGRAM for all the latest updates and info, as well as exact restock times! Which of these beauties are your favorite? I'd love to hear from you in the comments section below! I really like Snoozing in the Hammock - just beautiful! Thanks for mentioning the matte topcoat as a basecoat tip again - I'd forgotten!